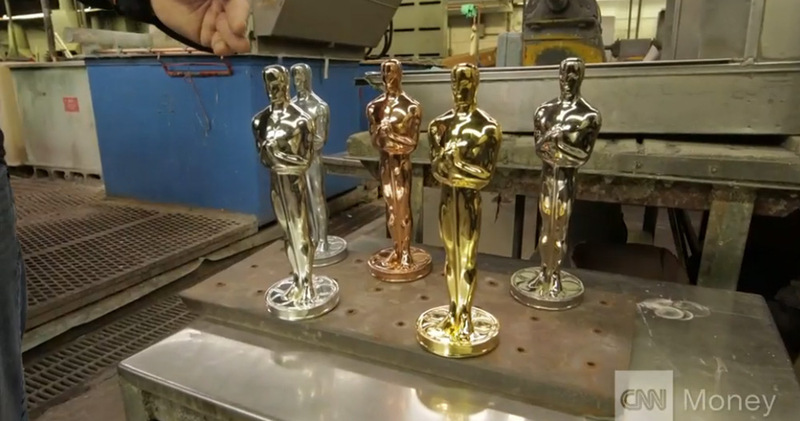 VIDEO: Oscar statuettes may be given out in Hollywood, but they are made in Chicago. The golden statuettes are made at R.S. Owens & Company, in a northwest suburb of Chicago. 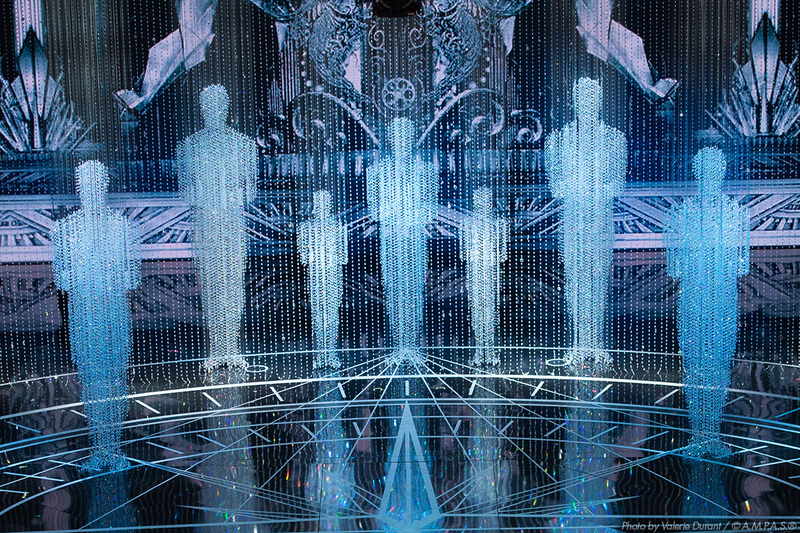 Oscar statuettes may be given out in Hollywood, but they are made in Chicago. The golden statuettes are made at R.S. Owens & Company, in a northwest suburb of Chicago. The company starts the process in November to manufacture about 50 statuettes. Each one takes about 8-10 hours to make. The company has been making the 8.5-pound statuettes since 1983. R.S. Owens also makes nameplates for every nominee in each category. The plates are added at the Governors Ball following the telecast. Once all of the statuettes are ready, United Airlines (Oscar's official airline) flies them to Los Angeles on "Oscar 1" for the big night. Stay with The Gold Knight for more on Oscar Week. We'll be reporting LIVE from Hollywood starting tomorrow. Stay here for the latest news and information.